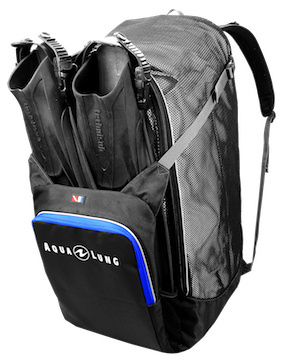 The perfect bag for a multi-day dive trip or for keeping all of your kit tidy on a boat dive. 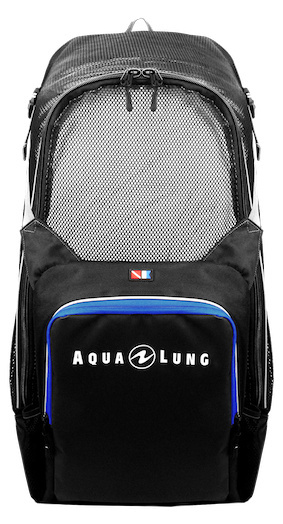 The Aqua Lung Explorer backpack has been designed with ergonomic straps and air flow back pads that encourage cooling in hot environments. The back plate is made from flexible 1mm PE board which protects your back while being flexible enough to fold up for easy storage. The bag's main compartment unzips to the bottom of the bag for quick and easy packing and unpacking. 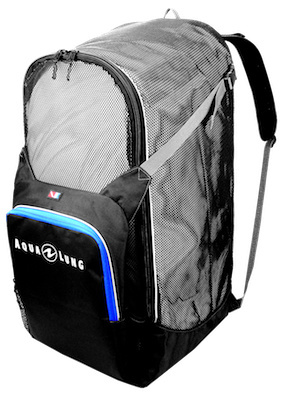 The front pocket hinges open with quick release buckles meaning that extra gear can be carried on the outside of the bag.